I am a minimalist in almost every way. When I hiked the Grand Canyon I did the rim-to-rim in one day so I wouldn’t have to pack a bunch of crap in to camp and pack it back out. Light and fast – or, light and lighter. 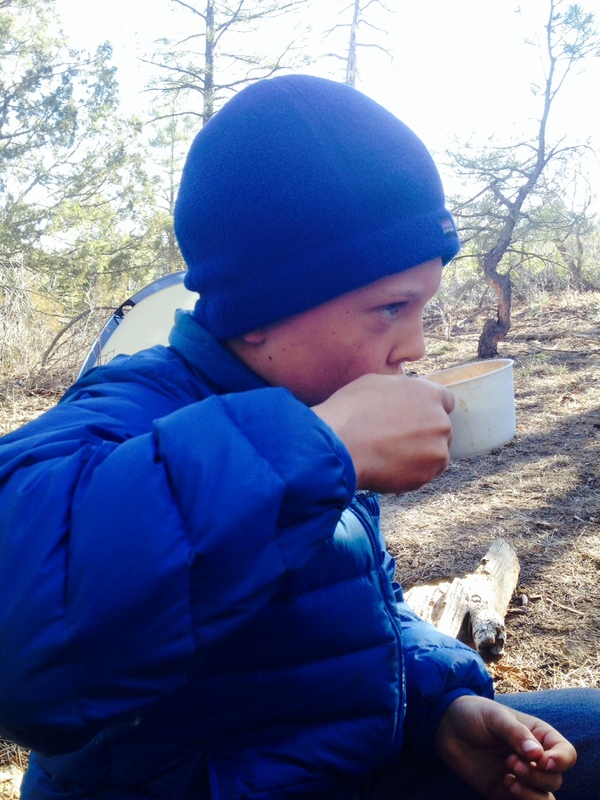 My camping trips were one-nighters staying awake all night by a fire, no tent or gear needed. 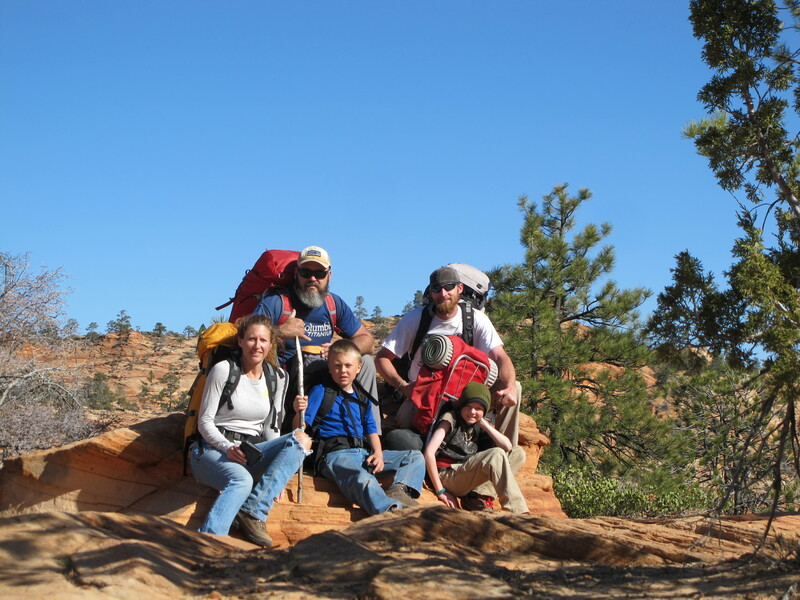 So it should come as no surprise that I was 36 when I went on my first real “backpacking” trip. As with all things, however, anything worthwhile, anything worth having, seeing, or experiencing, comes at a price – and sometimes that price is throwing a load on your back and hauling it around for long distances. While minimal is good in some cases, it can be a cheap fare that holds you back from the unique, exquisite, and stunning landscapes found in remote places. I have since acquired an appreciation for backpacking and have come to associate it with something Edward Abbey said, “Walking makes the world much bigger and thus more interesting. You have time to observe the details.” It’s the details and mishaps of any excursion that provide the ingredients for reminiscing, but doing it on your own muscle and power gives it a unique flavor that makes the subsequent tall tales of adventure alluring to other would-be adventurers dreaming of similar feats. One of those dreamers was my son, Kael. He was itching to have some adventures of his own and started asking to come along. 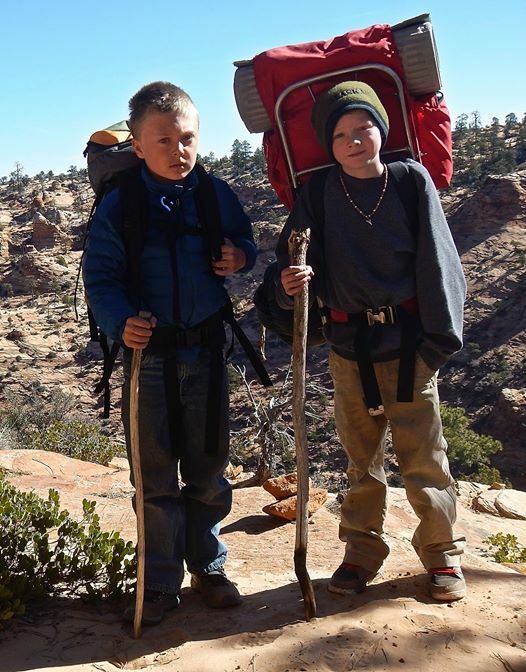 Being new to backpacking I wasn’t sure what an appropriate age for a kid to start was, but 10 sounded good. The moment came when a friend of ours, Ty Larson, who always conjures up images in my mind of Seldom Seen Smith from The Monkey Wrench Gang, invited us to hike and backpack on top of Water Canyon. 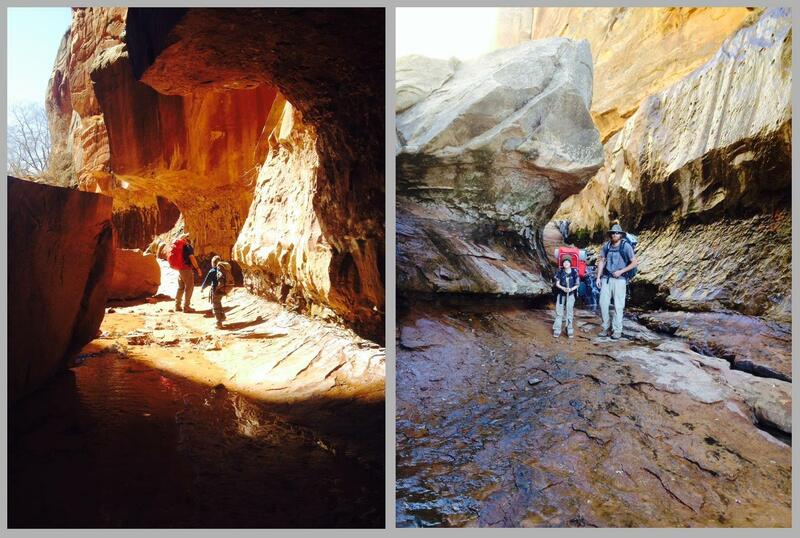 It is a popular, spring fed canyon on BLM land near Hildale in the Canaan Mountain Wilderness; a place not burdened by rules and regulations found in a National Park. 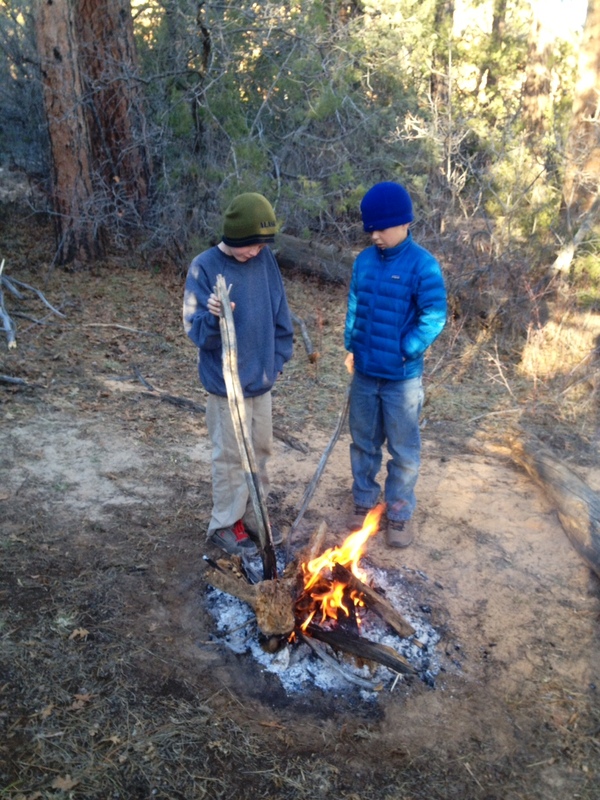 It sounded perfect, not just because we would get to have a campfire, but because he was bringing his 10 year old son Boden along, who happens to be Kael’s best friend. Building bonds with other people happens in unique ways, many of the strongest forming either in childhood or by walking paths of daring and courage or trial and tragedy together in life. I wondered about the bond that was being built between Kael and Boden as they tested themselves against the mountain together. Would they be life-long friends? What else does life have in store for them? Such thoughts flickered periodically in my mind as I watched them ascend and then crest the summit. Joining them there, we looked out at a vista of redrock landscape stretching from horizon to horizon, framed by bluffs of Zion peeking out in the background. There were piles of wood and campsites all around looking out over the stunning view, but we had picked a blustery and cold day to camp on such an exposed cliff, and so grudgingly set out in search of a site with a wind break. 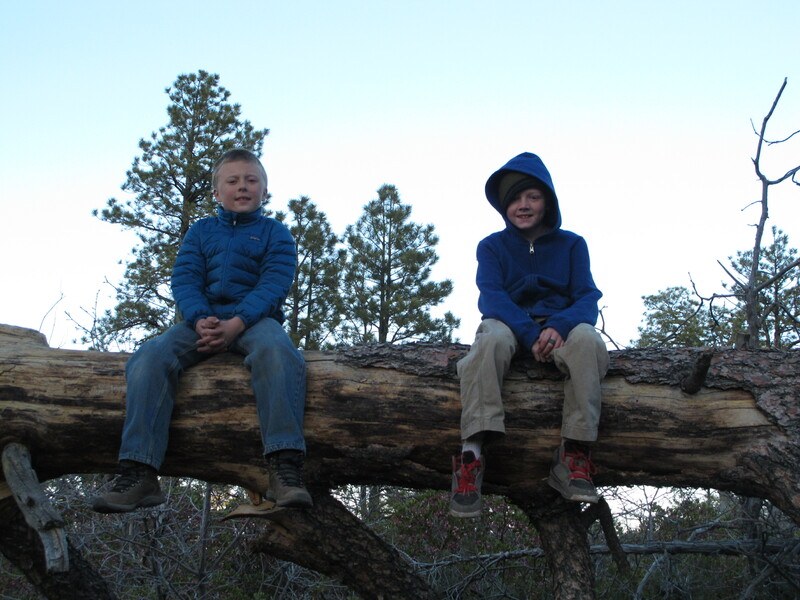 We gave Kael and Boden the job of scouting out our campsite. Not long after embarking on their scouting exploration they came running back with news that they had found the perfect spot. Excitedly they led the way to their hidden hollow, pointing out landmarks and describing its characteristics. Within a grove of ponderosa pines, nestled in and protected from the wind, was a flat clearing. They had indeed found the second best spot to camp. Stepping inside the circle of trees was like stepping out of a storm and into a shelter. All was calm within, despite the howling wind and swaying branches above and around us, and after exploring look-outs and bush-wacking, it felt good to light up a fire and take a load off. As the sun went down and the fire cast a warm glow against the growing darkness, we cooked up some dinner and spun yarns. The boys poked sticks in the fire making smoke wands, and listened quietly to tales of military hardships and working-world trials. I could see their little minds turning as they watched and listened. We talked into the wee hours of the night and watched the stars come out and felt the wind die down before turning into our tents. Though the wind loosened its grip of the mountain, the temperatures still dropped low enough to leave a thin layer of ice on our stores of water. Like most of my camping experiences, the night was long and miserable, but still left me laughing in the morning as everyone slowly peaked out of their tents grumbling and shivering in search of fuel and warmth. Once a fire was going, we took our time thawing out with coffee and hot cocoa and watched the sun slowly make its way down the trees. As we packed up our things and made our way back out to the look-out, we noted how calm and serene it seemed compared to the night before when the wind had dominated the landscape. We took in the expansive view on the summit, snapped some photos, and then descended back down into the canyon. 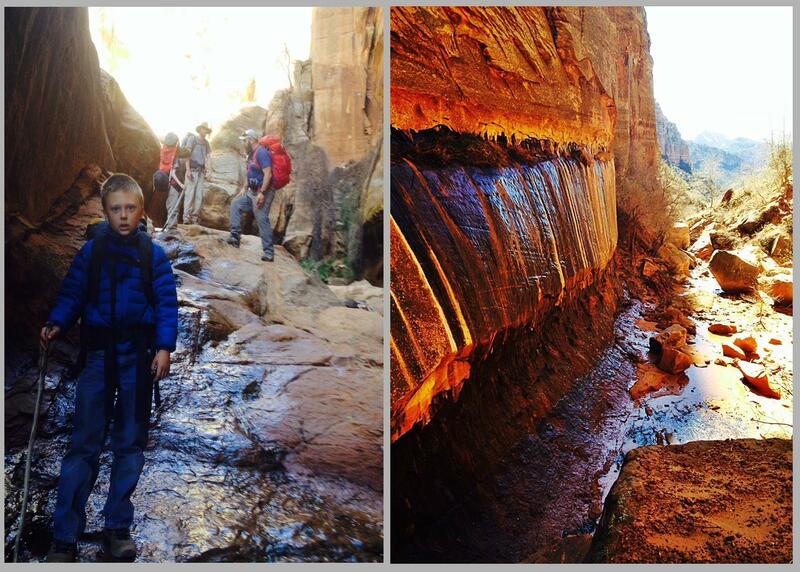 The sun was bright and warm and the boys didn’t skip a beat, bouncing easily down the trail. Following behind them I thought, “Well done Seldom Seen Larsen,” it was an excellent first for Kael. As I watched the boys leap frog down the trail, still talking between themselves, I envisioned them in school on Monday, washed of sand and dirt, probably stiff and sore, better friends now for having walked some earth together with tales of their own to spin. Posted on March 22, 2014, in Recreation & Adventure and tagged backpacking, Edward Abbey, Hildale Utah, Minimal, minimalist, Piglet, Seldom Seen Smith, southern utah, Water Canyon, Winnie the Pooh. Bookmark the permalink. Leave a comment.